Trotter the bear here again laying down my new top 5 units! This time my focus will be on units that are solid choices in their own right however its their abilities and access to certain stratagems that take them from good to great! 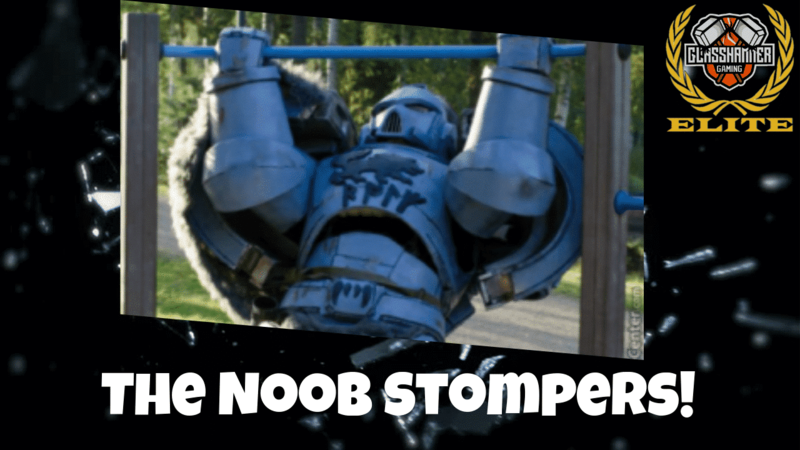 Before I get into it I just wanted to add to the title of noob stomper units. What these units do is excel in taking advantage of unit miss position or being generally an unknown to play against. This coupled together generally means that the units will do well again players more prone to mistakes, who as a broad statement are generally newer players, however you will still see the players on the higher end of the tables struggle to deal with some of the below units. I would also like to add that the term noob is not in anyway a inflammatory or negative word as we all start somewhere and its always a learning curve as the game is always adapting! So this guy is an absolute combat monster! But what makes him great vs those without experience? Or people prone to mistakes? Well it's very simple to start with and quite an obvious statement but, he is one model. He's on a 32mm base and its quite easy to sneak him into holes left in deployment,its really difficult throughout the game to make sure that you have every gap covered especially whilst taking casualties. He's great clearing through chaff with a bunch of attacks, but also as an infantry unit he can deploy 9'' away behind cover and charge 3D6 inches through ruins without getting over watched which can take a lot of people by surprise.